There are variety of reasons why for car accidents in San Francisco. These Automobile Accidents are also called – road traffic accidents aka. RTAs. Some of these RTAs are the cause of bad driving habits or perhaps the driver was very young and did not have enough experience. Crashes are happening due to people neglecting traffic rules and regulations, near signals, using cell phone while driving or in traffic, teenage irresponsible driving, old unconditioned vehicle and many more factors. Unconditioned cars are not allowed to be on the roads in many countries. Removing these vehicles from the roads help to avoid rear end, head on collisions, car wrecks and roll on collisions. There are two types of rear end collisions: stationary and moving. San Francisco Car Accident rear end collision happens when the moving vehicle is crashing into a non moving vehicle. Soft tissue of the cervical spine undergoes extreme movement forward and backwards. As a result whiplash injury occurs where muscles, ligaments, tendons and other soft tissues are injured. San Francisco Car Accident Truck Collision kills at least 1.2 million people worldwide every year. Rollover crashes have increased in its frequency due to the popularity of the vans and SUVs and larger people capacity. Rollovers can often be fatal, especially if the occupants are ejected because they were not wearing seat belts. When the driver did not wear a seat belt 83% of ejections during rollovers were fatal. When seat belts are worn only 25% are numbered. Rollovers have contributed to more than 10,000 deaths for 1 year even though they only account for about 3 % on overall car accidents. 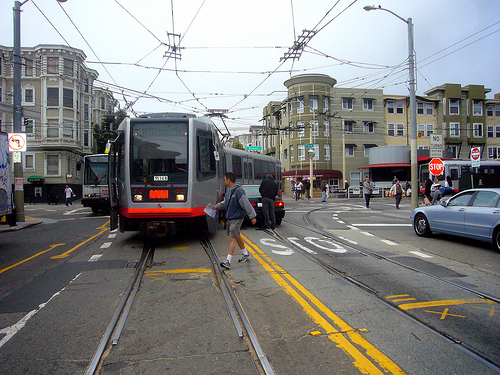 San Francisco Backup collisions happen when a driver reverses the car into an object, person, building, or another vehicle. Most of the vehicles have rear view mirror which should provide an adequate view for subjects behind the vehicle. However, detecting small children or objects which are too close to the ground will create a blind spot and might be the cause of the collision. 1. The government must provide good roads, with as many safety measures like speed breakers and traffic signs. There should be traffic lights at all the important and dangerous crossings. 2. The car owner must ensure that he maintains his car in good condition. Servicing the vehicle, having the right kind and size of tires with proper air is a must too. 3. While driving on wet roads don’t over speed and never let your car fish tail. 4. Always follow the traffic rules and never jump signals or lanes. 5. Be a responsible citizen and don’t drive under the influence of alcohol. 6. While backing up in a crowded area always look through your rear mirror and reverse slowly or else get your co driver to get down and help you.